The goal of succession planning is simple: ensure there are ready candidates to consider when a vacancy occurs in a critical position. The goal may sound simple but reaching it often is not. Questions come up. Sometimes they’re easy to answer, but not always. And even if the answer is easy implementing it might not be – e.g. how many candidates should you consider? Here are 9 of those questions along with answers and/or ways of approaching the question. I won’t be addressing one of the perennial questions: should you tell high potentials that they’re considered high potentials? That’s the topic of another post you can find here. The purpose of succession planning is to make sure there won’t be a gap – or not much of one – in formal management/leadership. But continuity does not mean status quo. The new person could have very different ideas about what to do and how to do it. You have ready candidates to consider when there is a need to replace someone in a critical position. Who owns the succession process? Most succession processes are HR-related – things like assessment, selection, and development. But it’s a mistake for HR to “own” succession. The CEO should. There are two distinct reasons for that. The CEO is ultimately responsible for the organization being able to achieve its strategic goals – in the present and the future. Doing that requires people with the right capabilities. Succession is fundamentally about using talent to help position an organization for the future – e.g. having ready candidates when they are needed. If you don’t have the right people with the right skills, your business won’t succeed. Succession involves activities including assessment, selection, cross-functional and other types of assignments, and development. HR can request, for example, that managers not hide talent or that they allow and support cross-functional assignments. But managers ignore HR all the time. They can’t ignore the CEO. For the CEO to be successful in this role, he or she cannot allow any exceptions to the rules. If one of the functional heads says that a certain employee is essential to success in a certain area, the CEO cannot make an exception or exceptions will be made all the time and the development process will break down. How many candidates should be ready? You should have at least two candidates. It’s rarely a good business idea to have a single heir apparent. If that person leaves, the company is stuck. But if the heir apparent remains, changing business conditions might make his or her skill set less desirable – some people are better at growing a business while others are better at dealing with austerity during an economic downturn. One more reason. When people know they are the heir apparent some act in ways that are not helpful to themselves or the organization. I’ve seen people minimize risk taking because they don’t want to jeopardize their position. I’ve seen other people decide they can do whatever they want because they believe their success is guaranteed. What positions should a succession plan address? Top management/executive positions usually are included. Beyond that, it depends on the desired scope of the program. Many or most management positions often come next. But some individual contributors also might occupy critical positions because these individuals have the technical expertise or some other expertise that the organization views as essential. Should a manager or executive develop his/her successor? That depends. A manager/executive is likely to teach a successor to approach things the way the manager/executive does. The organization might find that desirable or it might not. Also, it’s helpful to remember that the position – or the function the position is part of – might be projected to change significantly. That could limit the value of what the incumbent has to teach. It also highlights the need for employee to look beyond the specifics of the current position and be prepared to develop additional knowledge and skills as that information becomes available. During the development process, individuals often are put into jobs where they will face situations in which the outcome is not certain. Some of these situations will be high risk. This experience will test the individuals and force them to learn things they can’t learn any other way. And those running the succession process will assess their performance and how well they learn. In large companies, with well-established succession processes, it’s not unusual to have certain positions reserved for this purpose. Organizations that have not done this, can face a dilemma. It’s not unusual to find a long-term employee in one of these positions. If the incumbent has performed well, the organization’s options often are difficult and potentially costly. 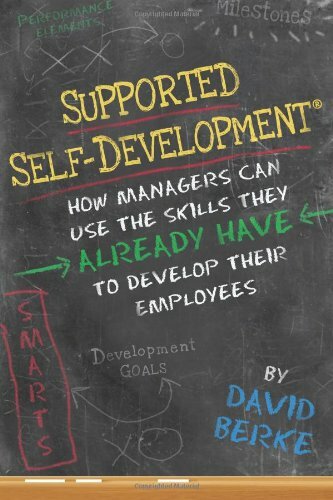 It’s wise to develop your employees for future roles. This helps retention and morale. But it’s also wise to assess the talent pool outside your organization and occasionally bring in people. This can provide a useful diversity that could enhance the ability of the organization to innovate. Each organization needs to find its own balance in this area. Are succession planning and filling the talent pipeline the same? Not necessarily. It mostly depends on what you want to accomplish. Filling the talent pipeline means having ongoing development processes at multiple levels of the organization. That has the benefit of building broad organization capability. However, it requires more resources than a more narrowly focused effort. It also requires an organizational culture that values talent development and understands how to integrate it into daily operations. In contrast, succession can have a narrow focus on a few key areas. This approach is much less resource-intense. And it might be all that the organization needs to do.